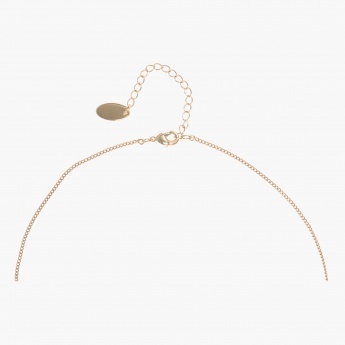 Blended with style and elegance, this attractive set is a closet must-have. 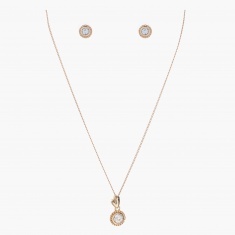 Sporting an immaculate round pendant, it carries an elegant look. The crystal embellishment is its design highlight.